My parents sent me and both of my brothers to cotillion classes when we were younger. I suppose in an effort to shape us into proper young adults. I think it worked...well, for the most part! I may not always mind my manners, but at least I know what I am supposed to be doing! We learned a variety of things from manners, to dance moves, to how to set a table. As I was thinking of this article, I realized that maybe more of the lessons stuck with me then I had originally thought. 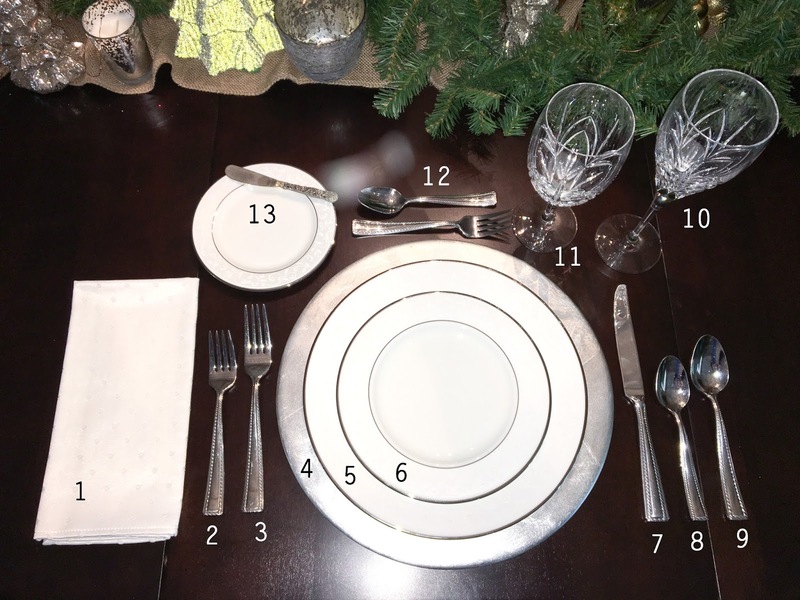 I may not know all of the steps to the Waltz anymore, but after doing some research online to verify my ideas about proper table settings, I surprised myself by how much I actually remembered. 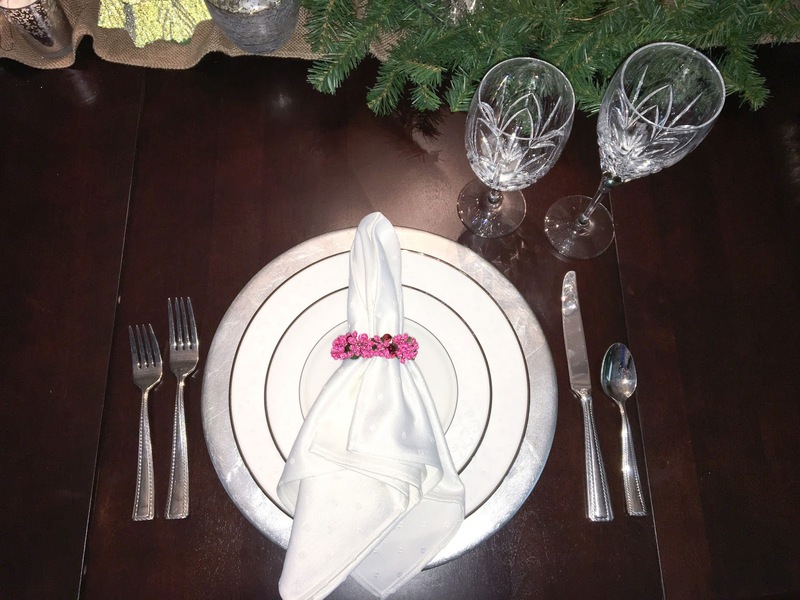 If you are hosting Christmas dinner, and have found yourself wondering, "Where in the heck do I put the little fork? ", then keep reading because I'll tell ya! There are a number of different ways to set a table. I like to keep things fairly basic, so I am going to show you what I would do for a formal dinner. You can of course step things up a notch or tone it down also, depending on your style and meal plans. The picture above is for a slightly more formal dinner. 1. Napkins can go a number of different places, but they are usually either placed on the left side, beyond the forks, or on the plate. Hopefully it goes without saying, that if you are not serving soup or anything that requires an additional spoon, there is no need for a soup spoon. Same with the salad fork, and dessert silverware. 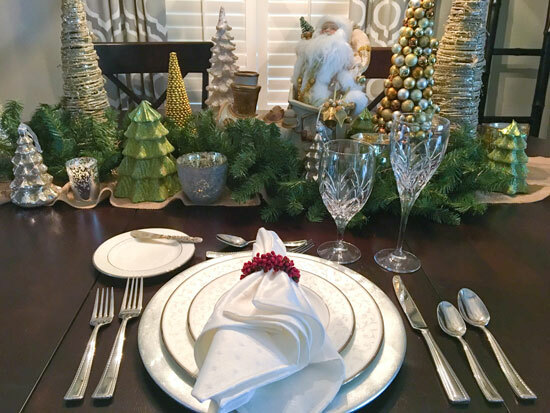 You only need to provide items at the place settings that correspond with your meal. A good rule of thumb is that you want to work from the outside in. So, you would pick up your napkin first, therefore, it's on the outside of the setting, or on the plate. You would then use your salad fork and/or your soup spoon. After that, you will most likely be using your dinner utensils. Make sense? Another good way to help you remember where things go is to hold up both hands and make an "OK" signal with your fingers. Your left hand should look like a lowercase "b" and your right hand should look like a lowercase "d". This will help you remember that the bread plate goes on the left and the drinks go on the right! Have fun with your napkins! 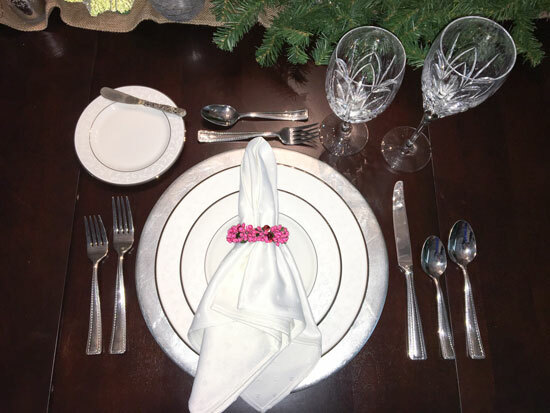 Use some festive napkin rings, make some napkin rings with your kiddos as a craft, or fold the napkin into a fun shape to display on the plate! If you are using place cards, you can place them either on the salad plate, or above the dessert utensils. 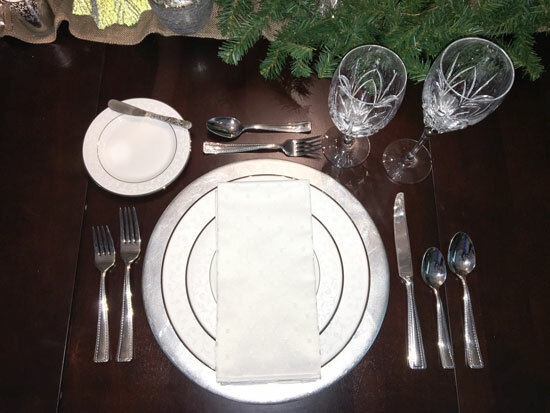 And, here is a more informal place setting, with just a salad fork, dinner fork, plates, knife, spoon, and glasses. You don't have to be super fancy about it! What are your holiday dinner plans? Love the centerpiece! Beautiful table setting.